When snow was forecast I was hopeful of getting a few good images. Unfortunately all we got was some watery icey slush. So here’s one I took a few winters back when we had some proper stuff. That snowman is cool! Maybe cold too. I like it. 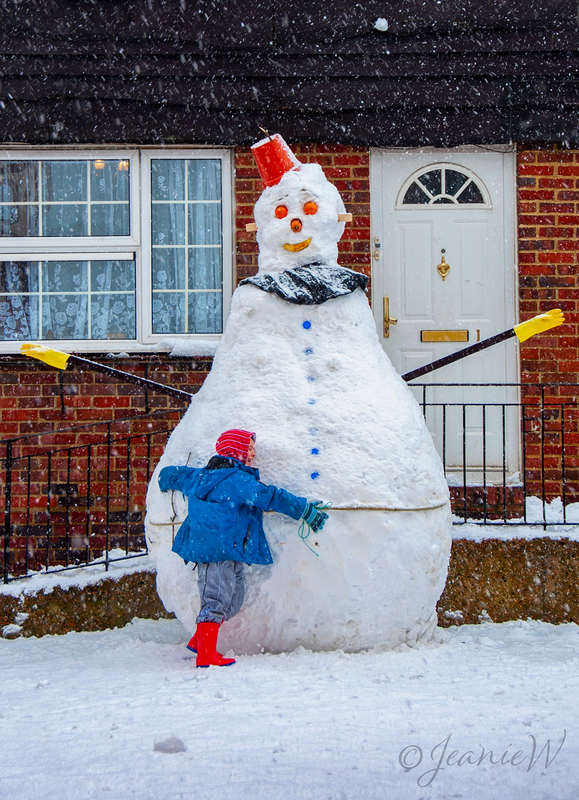 Now that’s what you call a snowman…great work.